A cherished end-of-summer tradition, the Great Minnesota Get-Together welcomes 1.8 million guests annually. A world-class showcase of agriculture, art and industry, the Minnesota State Fair is a whole lot of fun! 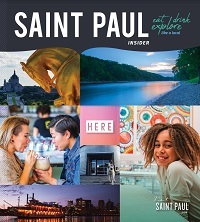 Perennially popular are the 500 food items (more than 70 on-a-stick); 900 free entertainment shows; craft brews and Minnesota wines; livestock competitions; the Mighty Midway and Kidway; horse shows; CHS Miracle of Birth Center; baking, fine arts, talent, 4-H and FFA contests; 1,000 vendors to shop at, hundreds of how-to demonstrations, a fireworks show each evening; and more! The Minnesota State Fair is always 12 days ending Labor Day. It will be starting on August 24 (Thursday) going through September 4 (Monday) 2017.